We're dishing out essential home tips and news to help you build that peaceful home you've been dreaming about! Today’s homeowners prefer sophisticated, stylish designs, and this year is no exception. Here are four home decoration trends to watch for in 2016. As the popularity of stainless steel wanes, other types of metal are taking its place in the home decor category. A few have already become hot sellers, while others are poised to be in high demand this year. Instead of stainless steel, blackened steel is a new favorite. It can be found as an essential part of some small tables and bathroom fixtures. Copper is also a top choice. 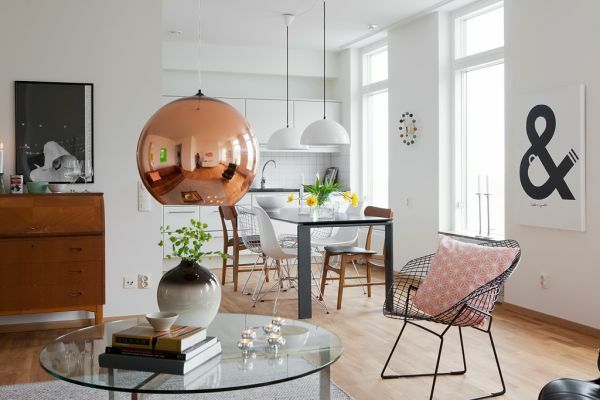 From faucets to lamps, copper items were hot sellers last year and are certain to continue flying off the shelves. Although bathrooms have sometimes been given little attention by designers, that isn’t the case in 2016. This is the year when bathrooms all across America are finally receiving a much needed makeover. As a result, these rooms are becoming more visually appealing and comfortable. Small yet functional tables and shelves, for example, are being installed in convenient locations. Daring, ornate mirrors are replacing the utilitarian mirrors of the past. Eye-catching artwork is brightening up the walls. Bathrooms are nothing to be ashamed of, and there’s never been a better time to make them look great. Perhaps partly inspired by the popularity of metals, a lot of homeowners are turning to other natural materials to find just the right option for their decor. Stone is particularly sought after right now. Often, stone decorations bring to mind the splendor of mountains that stand tall in the great outdoors. From glamorous marble to rugged concrete, stone has an enormous variety of uses in almost every room of the house. It works well when contrasted with other materials, and this can even be done on a small scale, such as filling a wooden bowl with sparkling crystals. Many people are growing tired of always eating out at restaurants or in front of the television. To escape, they are returning to the charm of a traditional dining room. From a romantic dinner at home to a classy lunch with friends, the dining room and all its uses should not be overlooked. A spectacular chandelier is an excellent companion to fine dining. It will light up the room and can be chosen to match the area’s overall design. Other elements, such as the wallpaper, will help set the mood for the room, to bring to mind a luxurious afternoon picnic or a candlelit dinner in Paris. With options like these to choose from, 2016 is a great year for home design. Homeowners can take advantage of all the choices and fill their rooms with amazing decor.